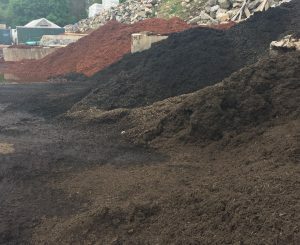 Eden Farms carries premium mulches and soils in both bulk and bag options. Bulk choices include natural cedar, dyed red and black cedar, hemlock, pine, composted mulch, and screened topsoil. 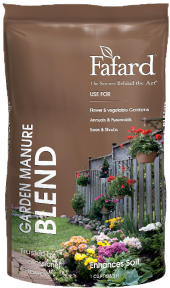 Our non-bulk options for topsoil, potting soil, compost, manure, and mulch come in individual bags from Coast of Maine, Fafard, and Miracle-Gro. Come in and talk with a representative to figure out which mulch or soil is right for you! 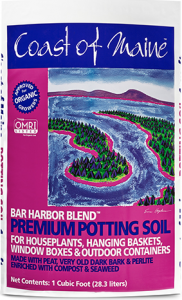 Coast of Maine™ Compost & Potting Soil is now available in a new, lighter formulation. Their products are made with salmon, blueberry, lobster and other composts, calcium and chitin-rich lobster shells, sphagnum peat, perlite and kelp meal. They are designed for lawns, house plants, planting hanging baskets, window boxes and all containers. Fafard™ offers various peat-based potting soils, specialty plant mixes, and top-soil. The potting soils include but are not limited to; container mix, outdoor planting mix, potting soil with extended feed, natural and organic potting mix, professional potting mix, African violet potting mix, cactus and succulent potting mix, natural and organic seed starter, orchid potting mix, seed starter potting mix, horticultural perlite, natural and organic compost, topsoil for organic gardening, and garden manure blend products. Your plants want to show off. 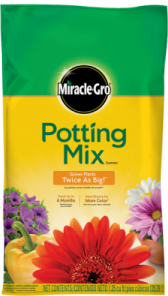 Give indoor and outdoor plants the right ingredients to grow bigger and more beautiful with Miracle-Gro™ products. Our specially formulated mixes feed and nourish plants for up to 6 months to ensure more blooms and more color. Grows Plants Twice as Big vs. unfed plants. Stained with long-lasting color, Ground Rules™ Color Scape Mulch lends a colorful, attractive look to landscaped beds, pathways, play areas and tree rings. With three separate colors, their mulch goes with almost any color garden, lawn, or structure.